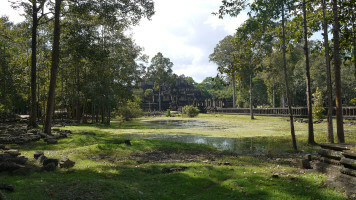 Angkor Thom (literally: "Great City") was the capital city of the Khmer empire. Ptotos. 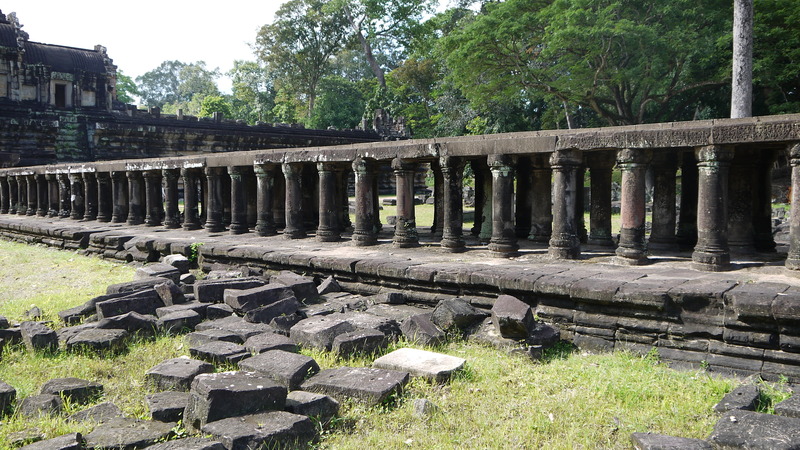 Der Baphuon ein Mitte des 11. Jahrhunderts zu Ehren des Hindu-Gottes Shiva erbauter monumentaler Tempelberg, gehort zu den wichtigsten Zeugnissen der Angkor-Zeit. Бапуон (Бапхуон) — центр столицы Удаядитьявармана II, XI век, общая высота храма достигает 49 метров. 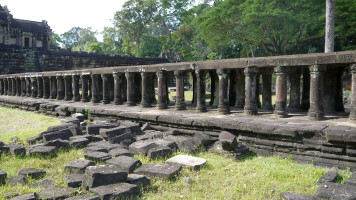 Le Baphuon est un temple du complexe monumental au Cambodge. 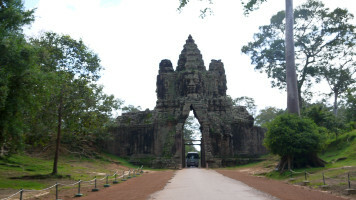 Il se situe dans l'enceinte d'Angkor Thom. 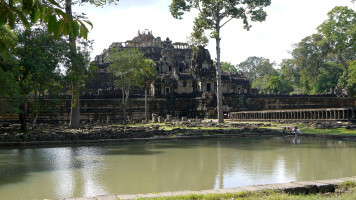 Il Baphuon e un tempio situato ad Angkor Thom in Cambogia foto. Baphuon, Kanputxeako Angkorreko eraikin multzoko tenplu bat da. Baphuon built in XI century, it is a three-tiered temple mountain built as the state temple of Udayadityavarman II dedicated to the Hindu God Shiva.